Vaisala’s DRYCAP dewpoint and temperature transmitter series DMT340 is designed for industrial low humidity applications, including compressed air drying and metal treatment. 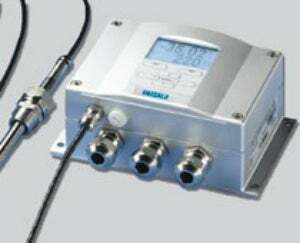 There are five different probe types that are designed to meet various installation requirements. Vaisala DRYCAP sensors provide accurate, reliable measurements with long-term stability and fast response times.